The Great 48 » A Community Collaboration! These past three weeks our team has been working day and night to make Fifth Fest a success. 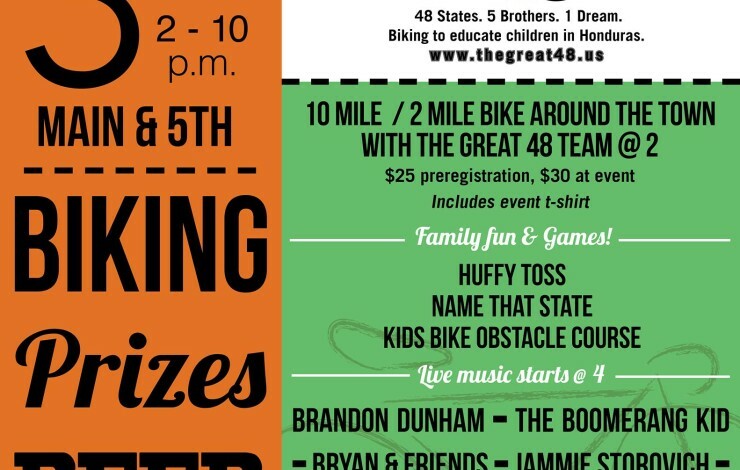 The purpose of this was to get us pedaling – raise money for the trip, help buy gear and pay off part of the loan that we took out. None of us have had previous experience in organizing an event of this magnitude and it definitely has been a challenge. But the community pulled together big time. Our team for the fundraiser was more than just the 5 of us. Besides spreading the word, Tonya Benson, from Reflections Hair and Design hosted a fundraiser at her salon for us! How awesome is that? All the proceeds from her business, along with tips, on the 17th of April went to The Great 48. Robb Rasmussen, from Sioux River Bikes and Fitness, contributed plausible concepts for the games at the event that catered around biking. The Huffy toss and the kids obstacle course was his idea. Seth Koch and Chris Harding from Wooden Legs have been phenomenal. And that’s being modest. Chris is the man behind the music. From gathering all the bands to play (for free!) to equipment to staging and sound check – he was on top from Day 1. Seth looked over the logistics of the event from scratch and pointed out avenues that we previously missed. Without his oversight, we’d be struggling to keep up with all the flaws that we had in our plans. Preparing for this event has been a big learning experience. We learned first-hand the benefits of working with the community at hand. It has helped craft the experience into something people in the community can feel and be a part of. For The Great 48 team, it’s sparked a love for the community and the champions in it. We hope to provide the people of Brookings with a great time tomorrow. 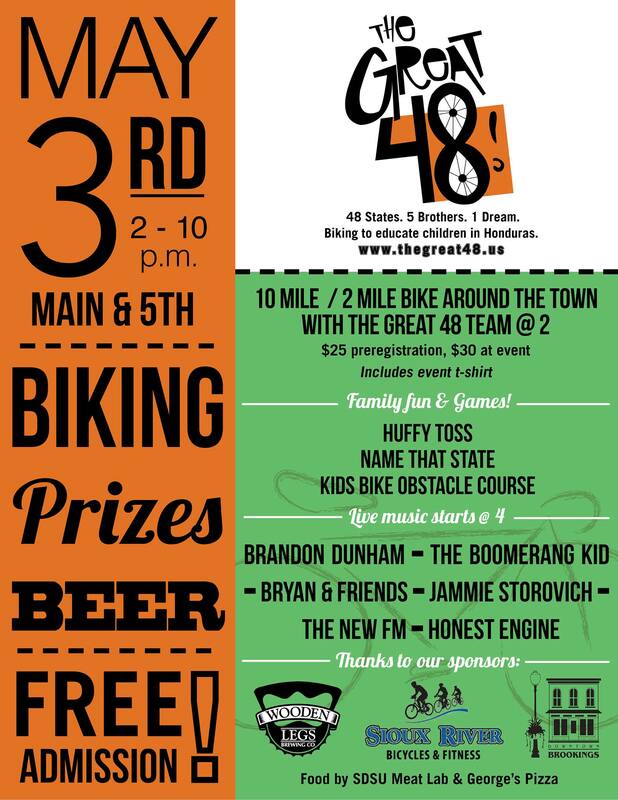 Bike around town, live bands, pulled-pork sandwiches and George’s Pizza, over $700 in Raffle prizes, Huffy Toss and Yard Pong, The Great 48 Ale – all sum up to an awesome all round family friendly experience. So unwind before finals, have a good time and come support a great cause!